Powering payments innovation in an ever-changing landscape. Accenture Payments helps banks, payments providers and other players across the payments value chain grow and win. Demographic shifts, technology advancements and new expectations for the user experience are among the trends impacting the payments market and its stakeholders. Payments leaders must make decisions today to win in the future. We have expanded our specialized payments organization with the acquisition of First Annapolis in North America. Accenture brings unmatched capabilities, scale and experience to serve the end-to-end needs of payments stakeholders—from the boardroom and C-suite to the back-office. Globally, our more than 4,300 payments advisors and payments systems integration specialists bring together strategy, consulting and execution to put banks, payments providers and others on the leading edge of payments. Providing credit card issuers and card partners with end-to-end support in areas such as strategy and product development, channel and value chain optimization, risk management, fraud mitigation and digitization. Supporting the product, operational, strategic and technical initiatives that allow payments acceptance clients to compete effectively. Helping banks, networks and other stakeholders rethink payments and delivery models in an environment of real-time payments and mobile-first applications. Delivering strategic automation, standardization and global solution optimization to financial institution and corporate payments clients. Helping card issuers and B2B stakeholders chart their course to realize the transformative potential of B2B payments. Creating digital and mobile payment solutions that facilitate commerce, enhance the customer experience and protect customer data. In the PSD2 & Open Banking era, banks that take an active security stance and go beyond basic compliance can turn security into a business asset. Melisa Miller discusses the unique aspects of Alliance Data Systems (ADS) and its approach in the digital and loyalty space in this Perspectives interview. Dominick Venturo discusses innovation, fintech collaboration, mobile payments adoption and lessons learned, in this Perspectives interview. The results of our Pulse Survey suggest two key strategies banks can use to capitalize on Open Banking and go beyond just compliance. Learn more. Explore strategies and approaches that equip banks in the International Payments market to cope with the digital threat and derive business benefits. Is your business ready for the seismic shift of PSD2 coming in January 2018? Accenture has the insights you need. Read more. Accenture’s Jeremy Light discusses how the renewed relevance of APIs can add value in banking and payments. Gareth leads our payments team helping banks, payments providers and other players in the value chain innovate in a landscape that's being rapidly transformed by demographic shifts, technology advancements and new customer expectations. He joined Accenture in 1992 and has a proven track record for developing long-term relationships with clients and successfully managing large, complex banking transformations. Gareth is based in Stockholm. 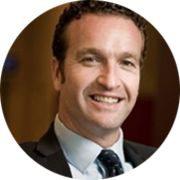 Graham Rothwell is a managing director in Accenture’s Financial Services practice and also leads the Payments practice across Asia Pacific. He is a financial services and technology leader with more than 25 years of experience in management consulting, systems integration and technology strategy and operations, the majority in relation to payments and digital. 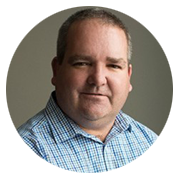 Graham has been with Accenture since 1999 (Andersen Consulting) and is based in Melbourne. Kevin Grieve is the North America lead for Accenture Payments, responsible for helping drive payments industry perspective and development of Accenture’s payment expertise and assets. He brings deep expertise in strategy consulting for cards and payments, having advised senior executives at many leading North America financial institutions. He has co-authored several articles on payments and has been a featured speaker at payments industry conferences. 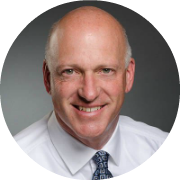 Kevin joins Accenture from PwC’s Strategy&, where he was head of the North American Card and Payments practice. He has over 25 years of consulting and line experience in financial services working with institutions in retail banking, card issuing, payments associations, merchant acquiring, and third-party providers. Kevin has an MBA from Northwestern University’s Kellogg School of Management.